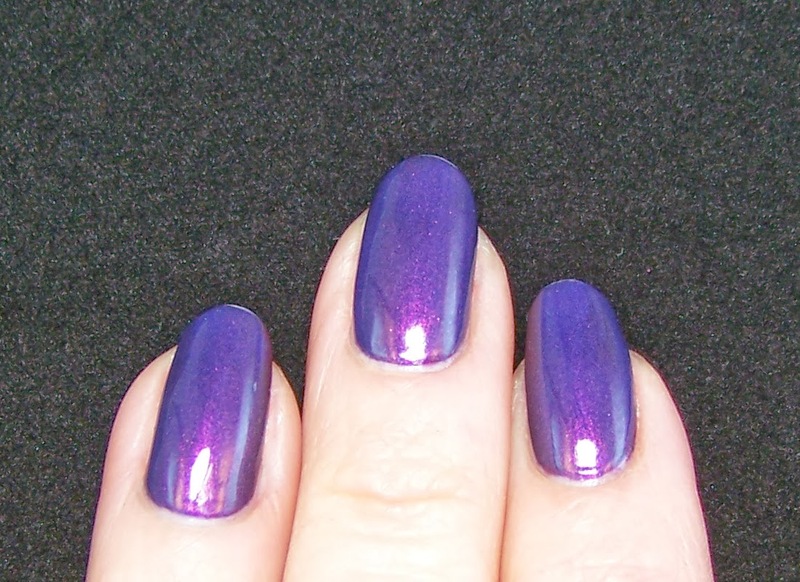 My plans for today's blog post was to present Zoya Storm, but I was actually a bit disappointed by it. Not only was it less filled with goodies than Zoya Aurora (which I liked very much), it was also a bit dull even in good lighting. And on top of that the shimmer that was there was not possible to capture in a photo. Maybe I'm getting a bit spoiled with all the fantastic polishes I own now? 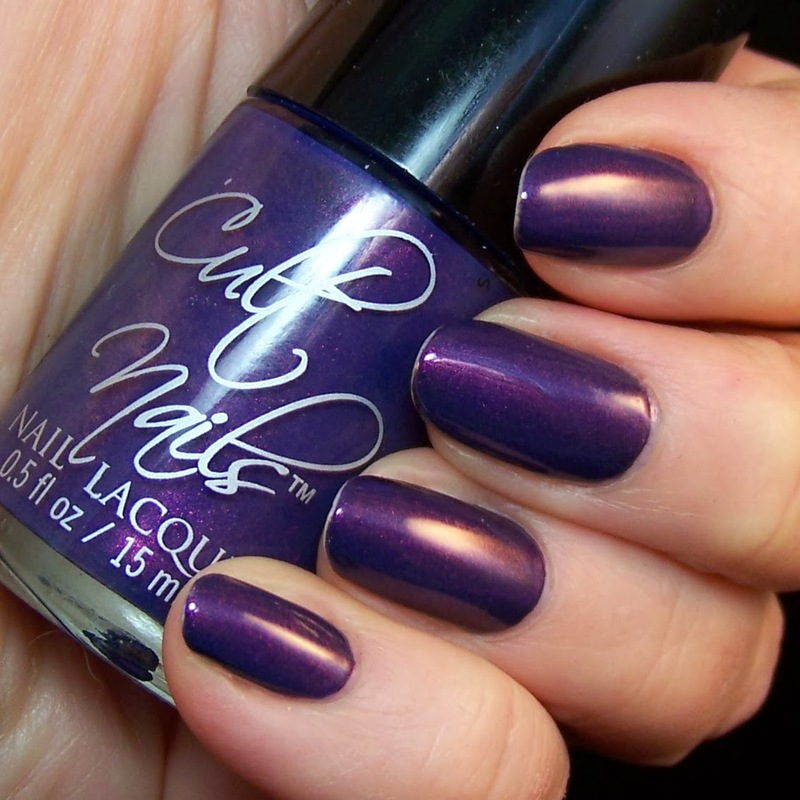 I have had Cult Nails Flushed for a while now. I have put it on two times before, but both times I have ruined it before I had a chance to take photos of it. Yesterday I gave it another try. And of course I ruined it again! This time though it wasn't totally destroyed so I decided to go ahead with it anyway. 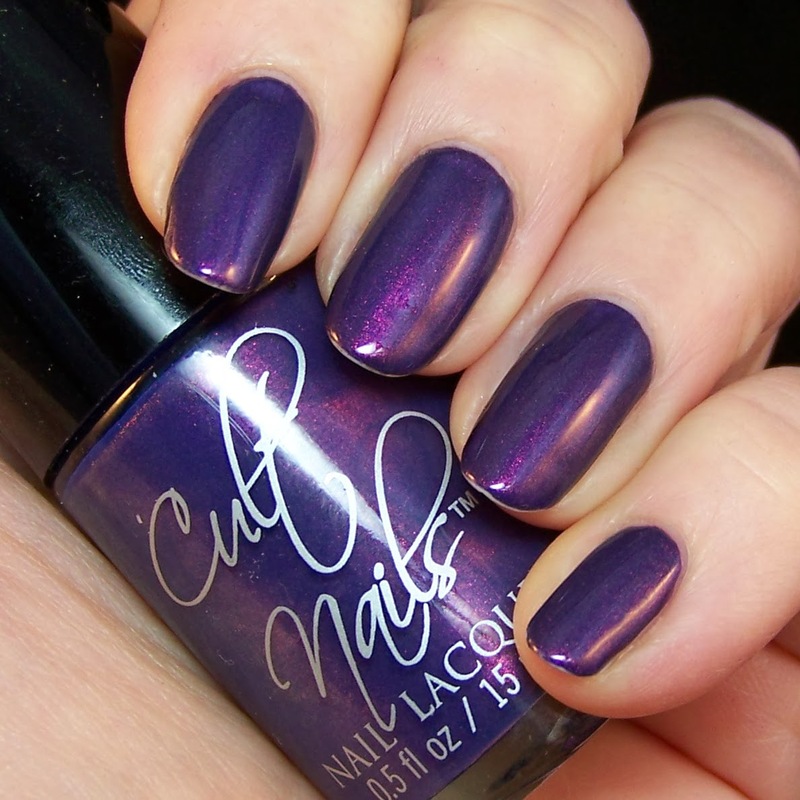 I put on one coat of China Glaze Let's Groove first. This is beautiful on its own, but I still wanted to top it with Flushed. Let's Groove left some bald spots so I hade to put it on quite rich. The same with Flushed. I think I should have put on two coats of either CG or Flushed. 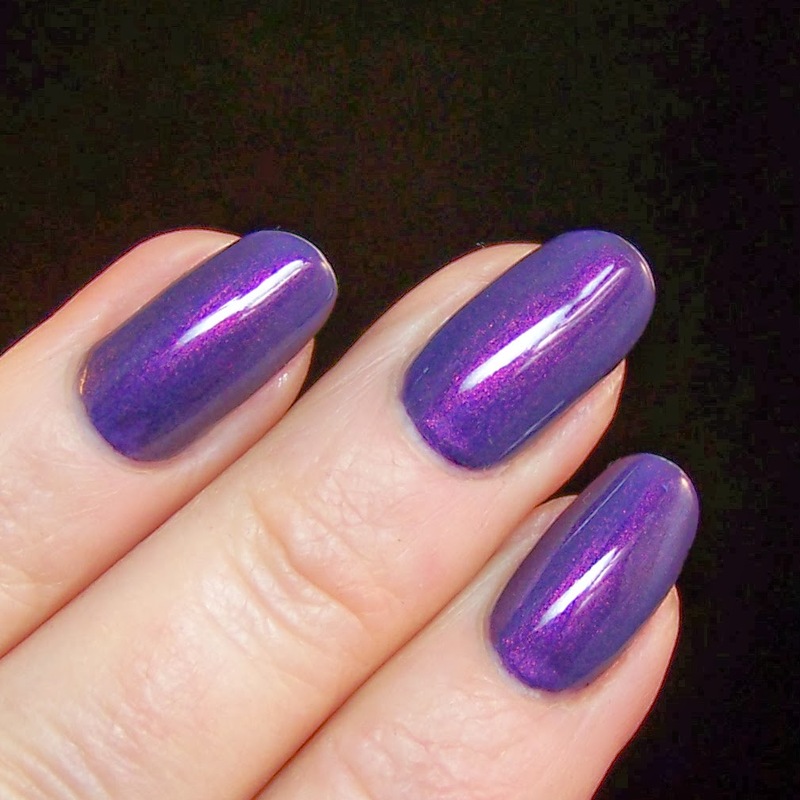 It was not easy to get good shots of this polish, but here is the result. Den är ju det! Flushed är vacker på egen hand också, men jag tycker den här kombon ger lite mer färg och ännu djupare skimmer. Let's Groove har ju ett väldigt fint skimmer den också.